Well due to a idiot who went through a Give way sign l need to find a rh rear quarter for the Magnum. Been through all the usual channels so am know putting it out there for you guys. Its a insurence job but they need a quarter. Rather be working on the plane. Try contacting a few ebay sellers of old parts panels...... the may know something. Quite a few do it professionally or semi-professionally. 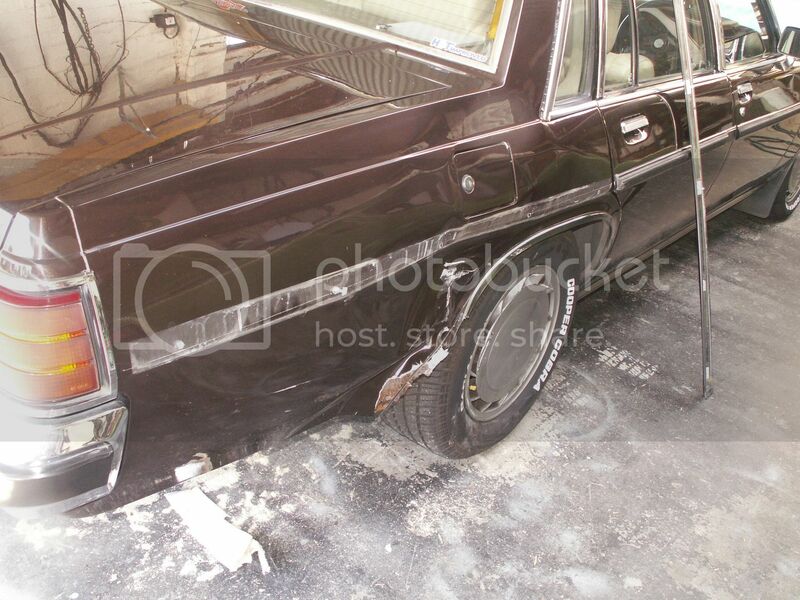 Or find a real body man who can straighten that mess and remove the worst bits then make new sections for it. I know most are no longer real panel men but some are. So far 2 larger panel beaters have said no, too hard. I found a wrecker who has a complete 1982 WB listed in the Parts Locator magazine. Then they are not panel beaters but panel replacers- very common these days sadly. I hope the above wreckers can sort you out.